Disco Unchained has been on a roll lately, and we just got the opportunity to interview one of our all time favorite synth producers: Shawn Ward (AKA FM Attack). Shazeb: First things first. What got you into music? Shawn: My parents put me in piano lessons from a young age, and my dad played guitar and sang in bands growing up. Shazeb: Music runs in the family! Hmm, if you had to pick, what would your top 5 favorite bands/groups of all time be? Shawn: Tough question! I'm going to go with Le Chic, The Beatles, OMD, The Cure, and Michael Jakson! Shazeb: We have a lot more in common than I thought! I absolutely love Le Chic! Now, on a personal note, If you could change one thing about the music industry as a whole, what would it be? Shawn: I would like to see artists making more money with the sales of music, and not having to just focus on performance to make a living. Also i would like to see more artwork and physical media in releases, it really fuses art with music. Shazeb: I get where you're coming from. You speak wisdom! Speaking of which, what advice would you have for upcoming independent synth artists? Shawn: Buy at least 1 analog synth (this is a must). You are missing out by just using software even though there are some great softsynths. Don't limit yourself to one style of music, and like everyone says, believe in yourself and your own music. Shazeb: Alright, Alright, enough fooling around. it's time to get to the serious stuff. The stuff that matters... So, What is FM Attack's Favorite Pizza topping of all time? Shawn: I think either portabello mushrooms or chipotle shrimps! 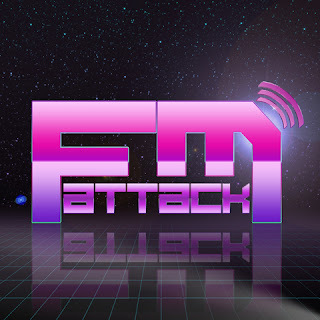 You can follow FM Attack here! Here's a new classic by FM Attack!